Dropbox alternatives is a topic today because many internet users are beginning to embrace cloud storage services. Even webmaster are now porting to cloud server hosting in their large numbers. The flexibility, scalability and convenience that comes with cloud storage services is something you can not do without in this time and age. Dropbox has over the years, proven to be a service to reckon with in the cloud storage field. Even some rumors of Dropbox hack (many years ago) couldn’t deter their users from relying on it for sharing files, managing office Docs, and saving documents online. The extra storage incentive where a Dropbox user is given extra storage space for inviting new users also led to the rapid increase and popularity of the Dropbox app. Despite all the good things about Dropbox, there are some known flaws that calls for good alternatives. Even the tiny 2GB storage space is a good-enough reason to bank on other Dropbox alternatives when one is on a low-budget. We are not out-rightly condemning Dropbox in this post but giving you other options that should serve 80-200% better when looking for Dropbox alternatives. Box is good Dropbox alternative. 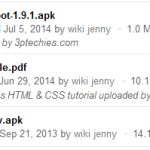 A good look at some of our articles have the software, tools and files hosted with the box app. With a box account, you’ll get 10GB of free storage space, instant preview for Docs and PDF files, preview and download statistics for files you’ve shared either publicly or privately. Box.com allocation for number of public downloads for files, apps and software seems to be higher than what you’ll normally get with dropbox. Box.com interface is friendly and their security is top-notched. One Drive is owned by Microsoft Cooperation and comes pre-installed with Nokia lumia phones and Windows mobile devices. It is a very good alternative to Dropbox as it offers a whopping 15GB of free storage space for free. Microsoft OneDrive integrates well with other online services and office utilities for easy management of files, documents and archives. They have good web and mobile apps for all operating system (OS) which makes it easy to sync from all platforms. You can refer new users to OneDrive for extra storage space or upgrade to any of their enterprise class plans. Google Drive integrates well with all Google services to offer the best cloud storage services around today. With a Google drive account, you’ll get a whooping 15GB of free storage space and can host apps, website scripts, documents and manage all your office files with Google Docs and other superior apps. Google Drive is not just a cloud storage service but a suit of apps to make office work smooth and easy for everyone else. Google drive apps comes pre-installed with Chromebooks and most android devices, you can also use Google drive for business by upgrading to any of their enterprise plans. Copy is no mean name in the cloud storage industry, they offer good cloud storage and backup services that meets ISO standards. With a free copy account, you’ll have access to a whooping 15GB of free cloud backup and storage space, Mobile app access and the ability to sync with the desktop app. Copy cloud storage services is complemented by the ability to recover deleted files under 30 days and the ability to integrate well with other office utilities. pCloud is another popular alternative to dropbox, they let you store all documents, media and applications on the cloud. With a pCloud account, you’ll get access to 20GB of free storage space for life. pCloud premium plans are also very budget friendly and delivers better quality than most competing services. There’s a pCloud app for all popular operating system (OS) and platforms. Mediafire (https://www.mediafire.com) is a superb cloud storage service that lets you store digital files, documents and media. With an active account at MediaFire, you can upload and share files with friends, colleagues, team-mates and the world at large. The standard (free) accounts at Mediafire are given a whooping storage space of 50GB which is big enough to backup your most important files as well as work on large projects as a team. Their security is top-notched and users are allowed to password-protect files shared to the general public, this means that only those with the access code can get access to the protected files you have shared publicly. Bitcasa is another wise alternative to dropbox (security-wise), it lets you encrypt the files you upload. Even their employees do not have access to your personal storage space. If you care so much about privacy, security and secrecy, then Bitcasa should be an easy choice to go with when looking out for a better alternative to dropbox. The free storage space allowed by Bitcasa is 5GB. Mega lets you store as much as 50GB of files in the cloud for free, all files are usually encrypted and decrypted during transfer by the client’s devices which makes privacy bridge a difficulty. Surprisingly, Mega is already a popular choice among college students who needs cloud services to carry out group projects and researches. Their team collaboration platform is built with the end-users in mind and their download process makes it a competent alternative to dropbox. Amazon Cloud is an enterprise plan that lets you store unlimited number of photos and 5GB extra storage space in their standard plan. 4shared (http://www.4shared.com) is useful for sharing files with friends and colleagues, I do recommend it as a good cloud backup service, especially when you are concerned about security and privacy of your data. Your publicly shared files can be searched for by other users from the homepage, so it is best to store personal files in your personal or private folder. 4shared offer much more features such as WebDav client, direct download link and most social functions. The basic plan gives you access to 15GB of free storage plan while their premium plans offers more in features, tools and functions. SugarSync (https://www.sugarsync.com) just like Amazon cloud is an enterprise class cloud storage service that lets you store, manage and share your Docs online. It does not offer 100% free plans but lets you have access to a 90 days free trial of their cloud storage service. The 90 days free trial account is limited by 5GB and shouldn’t be used as a long-term cloud storage space. Team Drive is another good dropbox alternative with features that matches the best cloud storage services around. TeamDrive software and apps readily integrate with other office utility apps and programs to give you the best office experience on the cloud. Ozibox (http://www.ozibox.com) is not as popular as the earlier options but offers a decent cloud storage service that’s developer’s friendly and very cost effective. The Ozibox, as a community developed cloud platform lets you store and share up to 10GB of files on the cloud. Makes Collaborating with your team and coworkers easy, fun and secured. JumpShare works very differently from the other options listed above, it lets you share files securely and makes instant preview possible for all Document formats. With a JumpShare account, you do not only share apps and files but articles, pictures, bookmarks, links and just any other thing you feel is worth sharing. The free account just like dropBox gives you access to about 2GB of free storage space that can be increased by referring other users to them. Slash Drive (http://slashdrive.net) is still very much new in the cloud storage business. At the moment, SlashDrive can’t be said to be a direct dropbox alternative but a good option for cloud storage and backup services. It was developed by students with students in high school and colleges in mind. It makes group research, projects and team work easy as files are shared and accessed over the cloud. You’ll get a 10GB of free cloud storage space with a SlashDrive account. Cloudme (https://www.cloudme.com/en) is another good dropbox alternative that’s worth mentioning, it has as much features as the ones listed here and lets you get access to 3GB of free cloud storage space that can be increased by referring new users. SpiderOak (https://spideroak.com) is another good option for cloud storage and backup. Their platform is friendly! Their security is top-notched! And their data encryption method is superb and meets all industry standards. SpiderOak is an enterprise class cloud storage service. It does not allow free account for live but rather a 60 days free trials accounts of 2GB. JustCloud ( www.justcloud.com) is a great alternative for securely storing your data in the cloud. We’ve used their services some years back but weren’t really impressed with it as at then but can now vouch for their recent improvement. We bought a VPS Class account from BlueHost and was given a 1GB free storage space on justcloud. They can come handy as a premium cloud backup solution for business and enterprises. If every other options fails, tonido (http://www.tonido.com) lets you run your own cloud storage space that will meet your organization and/or company’s need. The last is not always the least, tresorit should have been listed among the top 10 in our list but its our choice to feature it last for those who are patient enough to read until the 20th choice. It is one of the best cloud storage app with a security system that has proven to stand the test of time. Free users are limited by 3GB while paid users are allowed full access to all tresorit cloud backup and storage services. Click to go to Tresorit Official website. We updated the list and replaced Wuala (who just closed down and recommended that their users switch over to Tresorit) with justcloud. We are also test-running a new account on Mozy (http://mozy.com) to see how much a competent cloud storage service and potential dropbox alternative they will be. Are there other cloud storage and online backup services that can easily be referred to as a drop box alternative which was left out on our list? I am looking for a simple site to share documents and files for different subjects with students. On DropBox (free) I did OK but I could not restrict permissions, eg, a few students kept deleting files rather than downloading. Switched to pCloud which allows only a download link to be shared (rather than collaboration access), but not the ability to see a list of people the download link had been shared to (I have 320 students). They only do that for the full collaboration access. Any ideas which option can meet these simple needs? Bynder have also just released a new cloud storage service called Orbit (bynder.com/en/orbit) – which comes with up to 100GB free cloud storage (which is more than any of the ones in the list). Yup, I definitely vouch for pCloud. Had been using them for almost a year and no problem at all. Sharing and storing had been an ease and really can feel the usefulness of the cloud and technology. I always look for a secure alternative rather than just any dropbox alternatives and not many filters out the choices based on security.